Polar bears are the one of the biggest bears—second only to Kodiak bears. Big male bears are twice the size of adult tigers. But where is the biggest polar bear in the world? Is it alive or dead? 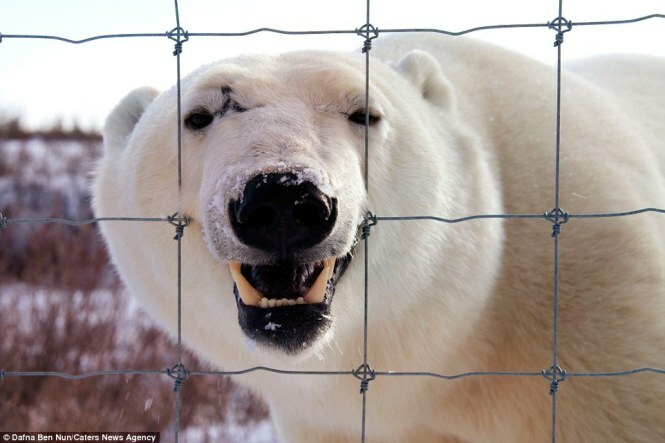 Did scientists find the world’s largest polar bear in captivity or in the natural habitat? We are going to address these vital questions in this article. Let’s see the weight of the largest polar bear ever recorded. According to the Guinness Book of World Records the adult male averages 385 to 410 kg (849 to 904 lb) in the overall body weight with the height of 133 cm (4 feet 4 inches). The Beaufort Sea population is thought to be slightly bigger with the weight estimated at 450 kg (992 lb). The captive bears are usually bigger than the wild polar bears. Nonetheless, the biggest polar bear ever found was the male in the northwestern Alaska. 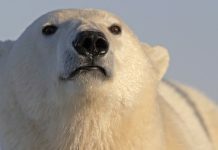 It was killed in 1960 in Kotzebue Sound—leaving scientists to wonder that there may be bigger polar bears out there. 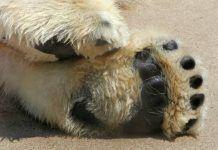 The largest polar bear weighed as much as 1,002 kilograms (2,209 pounds), twice the weight of male bears living today. 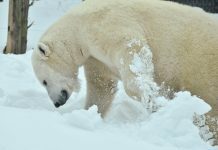 The length of the world’s largest polar bear measured at 3.39 meters (11 feet 1 inches) with the shoulder height estimating at 122 to 160 cm (4 feet 0 inches to 5 feet 3 inches). Scientists claim that polar bears of today are probably slightly smaller than those found in the 19th century. Global climate change bears much of the blame. 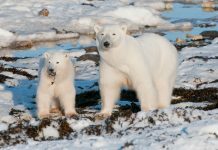 As global temperature rises, the Arctic sea ice melts forcing white bears to spend months in starvation. 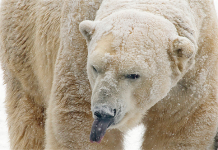 Polar bears find it extremely hard to hunt seals which are the primary prey. 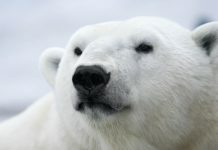 The climate change has also adversely affected the overall lifespan of a polar bear. 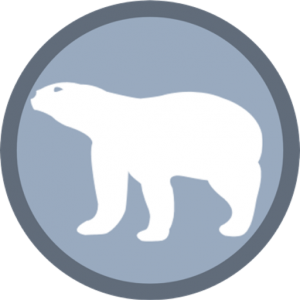 Polar bear Ursus maritimus – Appearance/Morphology: Measurement and Weight (Literature Reports). Wildlife1.wildlifeinformation.org. Retrieved 15 September 2011.